Zayba Ghazali with the latest in our series for budding writers (see www.bps.org.uk/newvoices for more information). Have you heard of Evolution before? What does a young child in primary school know about evolution? In fact, what does a primary school child know about scientific concepts in general? The truth is, no one really knows all that well. The topic of evolution has been included in the new and revamped National Curriculum for England (NC: Department for Education, 2013) for primary education as of September 2014, having previously only been included in the curriculum for secondary school. But is the NC effective in engaging with the ways children best learn? Already the new NC has been met with some degree of negativity from educationalists and psychologists alike. Despite the ever-changing politics and curricula, one thing has remained the same: curricular design has always been an activity that rests on some fundamental assumptions about the organisation of knowledge and the development of understanding. That does not necessarily mean that it is completely flawed, just that something so basic in a child’s learning should maybe be investigated more thoroughly for its effectiveness, given the potential consequences for children’s academic progress. The problem with not knowing how children learn about science is that we don’t know how best to teach them. The NC for England is organised in a manner that assumes sequential learning of concepts, in that generalised complex understanding about certain ideas can only be developed on the basis of earlier and simpler concepts. While this does seem somewhat logical, there is a distinct lack of any systematic research on the processes behind conceptual development. What there is has often shown children’s learning to be quite piecemeal and unlikely to progress in such a straightforward and linear fashion, particularly for science education. So why do we make such a huge assumption when it comes to children’s learning? Given that very little work on the relation between different concepts has been undertaken in the field of science education, with researchers frequently disagreeing about the nature of concept formation and concept change, a seemingly unsystematic approach to investigating conceptual development within science education has been taken (Tolmie, 2012). This endeavour becomes more difficult due to the fact that the nature of conceptual progression for any discipline is relatively unknown and underresearched. There is some evidence to suggest that conceptual progression is likely to be fragmented, with very little connection between what seem like logically related concepts. For instance, Tolmie et al. (2009) have shown that even within a single curricular topic such as physical state change, understanding of melting among eight-year-olds is not predictive of understanding of evaporation – even though these concepts are essentially opposite ends of the same spectrum (and are treated as such on the NC). Likewise in the field of biology, work into children’s understanding of animate versus inanimate knowledge would logically rely on the same grasp of the distinguishing properties of animate entities and inanimate objects, yet work into natural kinds suggests this is not the case (Gelman, 2015; Gelman & Hirschfeld, 1999). In this sense it seems as though concepts are not quite as linked as one would assume them to be – knowledge is more piecemeal. It becomes difficult, therefore, to make assumptions about appropriate conceptual sequencing. More recently there have been advances in research aimed at trying to understand conceptual development and progression in the areas of literacy and numeracy. The cognitive changes involved in literacy development are probably the most well understood (e.g. Alloway et al., 2004; Hulme & Snowling, 2009), followed by numeracy, particularly the early stages of arithmetic (e.g. Dowker & Sigley, 2010; Zheng, et al., 2011). Understanding in these areas has been used to aid teaching practice in literacy and numeracy to a degree, but comparatively little work has been done in the field of science. We cannot assume that the learning mechanisms used in literacy and numeracy education are going to be the same for science education – let alone for all subtopics within science (e.g. physics, biology, chemistry), which are vastly different from each other. The organisation and the development of skills and concepts in the various areas is simply too different, and established research into the domain-specificity of conceptual development corroborates this (see Hirschfeld & Gelman, 1994). The development of children’s knowledge is likely to be dependent upon the increasing sophistication of general cognitive abilities. Many studies have considered the effect of executive function and working memory on academic achievement. A study by Gathercole and colleagues (2003) found that measures of working memory taken at school entry level at age four were found to be highly predictive of children’s attainment levels in the NC assessments at age seven for literacy, but not for mathematics. However, a later study (Gathercole et al., 2004) looking at how predictive working memory at age seven was to English, maths, and science assessments at age 14, found that working memory was significantly associated with children’s attainment in English and maths but not science, although at age 14 strong links remained between complex working memory scores and attainment in maths and science. From these results, it was suggested that the intellectual operations required in maths and science are constrained by the general capacity of working memory across childhood but at different points in time. However, little is known about the exact effects of general cognitive abilities on science learning. More recently, there are some indications that working memory and executive functions might well be implicated in science learning in preschool (Nayfeld et al., 2013). If progress in different areas is being driven to some extent by the same underlying capabilities (executive functions, attention, etc.) but within differing contexts, it is possible to have no connection in terms of content between different conceptual areas and yet still have similar levels of progress being made, which is consistent with the fragmented picture of children’s science learning that is emerging. There’s clearly a risk in introducing a complex topic in the NC without first establishing what – if anything – it might build upon. It may be that children struggle with concepts such as evolution, as they could require the use of more developed general cognitive abilities to coordinate a vast array of complex ideas. More in-depth analysis about children’s conceptualisations would help to uncover the developmental trajectory of conceptual progression, focusing on a number of related concepts currently taught on the primary science curriculum. These concepts in themselves are not unitary but are made up of more important subconcepts that range from topics as simple as taxonomy, to something more complex as genetics. What is needed is a method of capturing children’s understanding of all these elements in an even-handed fashion so that the relationships between them, and to more general cognitive capabilities, may be investigated (Ghazali & Tolmie, 2014). This is something I have been working on as part of my own research into children’s understanding about biological concepts within the NC. Early findings suggest that children have similar overall domain-general learning structures but differ in terms of their domain-specific learning processes, which vary for each subject and sub-subject. It also seems that general cognitive abilities, particularly executive functions – which have been shown to influence academic achievement in numeracy and literacy – have surprisingly little to do with initial conceptual development and progression of biological concepts. The development of biologically specific language may be more significant. This suggests that there is no ‘one size fits all’ approach to teaching certain subjects, and different strategies are likely to work better for different areas. There is also little evidence to suggest that conceptual progression among biological concepts takes a linear and sequential approach as the NC implicitly assumes. The exact nature of progression, and the mechanisms behind this change, have yet to be fully investigated in my longitudinal project. It seems apparent that in order to fully enhance children’s learning, we ought to be investigating the ways in which they learn best, and shape the content of what they are prescribed to learn as a result. 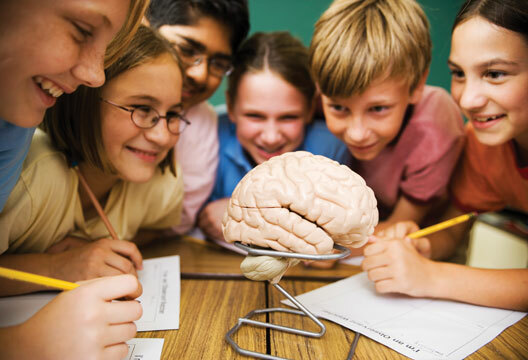 While there has been a relatively large amount of work focused on improving children’s attitudes toward science education and relevant training among teachers (see the Welcome Trust report on science education, 2013), surprisingly little has been focused on understanding the learning processes that might explain why children struggle to learn scientific concepts. Research into conceptual development within science education is likely to aid this endeavour. Alloway, T.P., Gathercole, S.E., Willis, C. & Adams, A-M. (2004). A structural analysis of working memory and related cognitive skills in young children. Journal of Experimental Child Psychology, 87(2), 85–106. Department for Education (2013). National Curriculum for England. London: Author. Dowker, A. & Sigley, G. (2010). ‘Targeted interventions for children with arithmetical difficulties’. In R. Cowan, M. Saxton & A. Tolmie (Eds.) British Journal of Educational Psychology Monograph Series II: Psychological Aspects of Education – Current Trends: No. 7. Number Development and Difficulty. Leicester: BPS. Gathercole, S.E., Brown, L. & Pickering, S.J. (2003). Working memory assessments at school entry as longitudinal predictors of National Curriculum attainment levels. Educational and Child Psychology, 20(3), 109–122. Gathercole, S.E., Pickering, S.J., Knight, C. & Stegmann, Z. (2004). Working memory skills and educational attainment: Evidence from National Curriculum assessments at age 7 and 14 years of age. Applied Cognitive Psychology, 18(1), 1–16. Gelman, S.A. (2015). From blankies to genes: The role of the non-obvious in children’s conceptions of the world. Society for Research in Child Development Biennial Conference, Philadelphia. Gelman, S.A. & Hirschfeld, L.A. (1999). How biological is essentialism? In S. Altran & D. Medin (Eds.) Folk biology. Cambridge, MA: MIT Press. Ghazali, Z. & Tolmie, A. (2014). New approaches to understanding the development of biological concepts in young children. Educatio Siglo XXI, 32(2), 97–118. Hirschfeld, L.A. & Gelman, S.A. (Eds.) (1994). Mapping the mind: Domain specificity in cognition and culture Cambridge: Cambridge University Press. Hulme, C. & Snowling, M.J. (2009). Developmental disorders of language learning and cognition. Chichester: Wiley-Blackwell. Nayfeld, I., Fuccillo, J. & Greenfield, D.B. (2013). Executive functions in early learning: Extending the relationship between executive functions and school readiness to science. Learning and Individual Differences, 26, 81–88. Tolmie, A. (2012). Understanding core skills and influences in primary school science learning: Taking a scientific approach. London: IOE Press. Tolmie, A., Tenenbaum, H. & Pino-Pasternak, D. (2009). Generalization in children’s science explanations. European Association for research into Learning and Instruction Biennial Conference, Amsterdam. Wellcome Trust (2013). Perspective from education: Effects from accountabilities. Issue 4. London: Author. Zheng, X., Swanson. G. & Marcoulides, G. (2011). Working memory components as predictors of children’s mathematical word problem solving. Journal of Experimental Child Psychology, 110(4), 841–498.